A presentation and demo session about the 3D Tune-In Toolkit has been carried out by Maria Cuevas-Rodriguez (UMA) at the International Conference of Spatial Audio 2017 in Graz (Austria) at the beginning of September 2017. The demo and presentation were received with lots of interest from audio engineers and 3D audio experts and researchers across Europe! 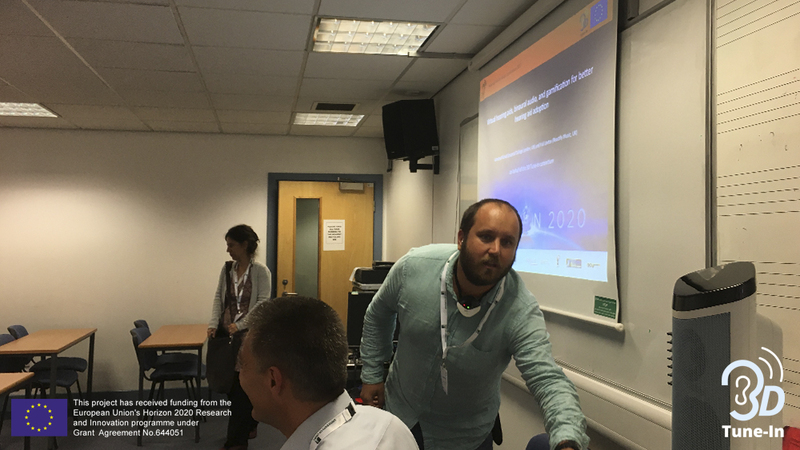 A lot of new contacts and potential future users was also reached during the workshop given by Lorenzo Picinali (ICL) and Yuli Levtov (Reactify) at the Hearing Aids for Music Conference 2017 in Leeds, 13-15th September 2017. Full speed ahead then towards the official release of the Toolkit and of the 3DTI App Suite!